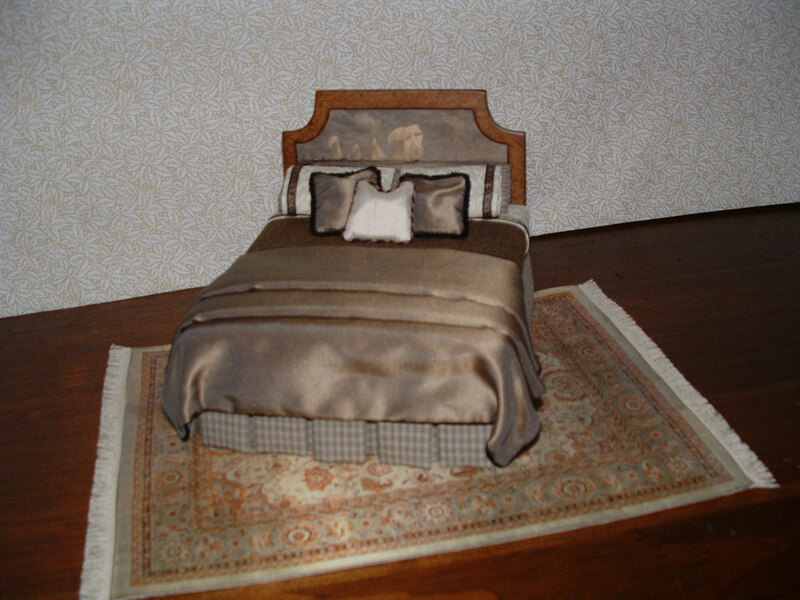 Marcia has used her skills in miniature as an interior designer creating dressed beds and coordinating table skirts in many styles. Whether you are looking for a traditional or not so traditional look, Marcia will work directly with you to enhance the mood of your room---whatever it may be! 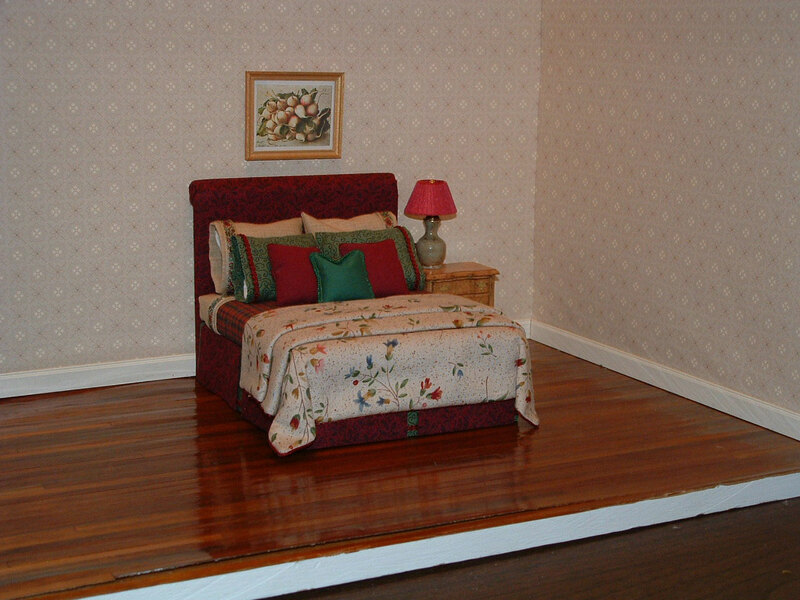 As a miniaturist Marcia knows that the right bed may be just what it takes to finish a room. 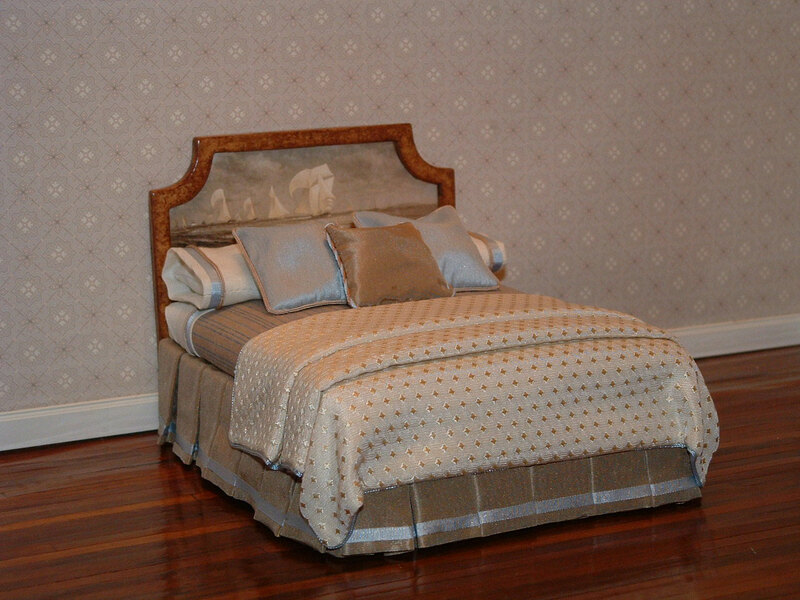 Please visit her Photo gallery to see a variety of beds and accessories. Click each photo for a larger view. For that little bit of blue in all of us! Colors really matter in most designer beds! 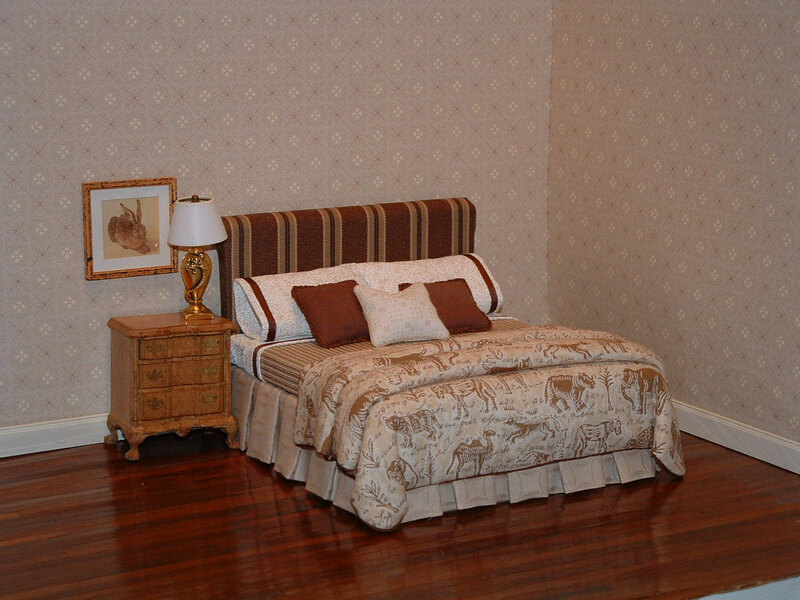 A designer bed with just the right touch! The African look! Note the comforter! Painted headboard with gold and blue set. Very formal! Please click here to contact Marcia.